Two diverging developments in South Asian’s western neighbourhoods – Gulf and Central Asia, calls for two different approaches especially by India and Pakistan. While South Asia should try to insulate itself from the ongoing crisis in the Gulf, we should try to integrate further with the Shanghai Cooperation Organization (SCO) and pursue it as an Indo-Pak opportunity. Here is why. Except for the Maldives, none of the other countries so far have taken a stand on the ongoing crisis in the Gulf. Male, for reasons more to do with economic have decided to side with Saudi Arabia and cut off ties with Qatar. The public opinion within India and Pakistan predominantly expects the two countries to play a balanced role and not take sides. While the stakes may be high for India and Pakistan in the Gulf, other countries in the region – Bangladesh, Nepal and Sri Lanka also do have a stake and cannot afford to take sides. For India, the sheer presence of its citizens in various Gulf countries is substantial. So is the case for Pakistan and the rest of South Asian countries except Bhutan. The number of daily flights from various cities of South Asia into the Gulf would reveal the movement of people between these two regions. Qatar Airways and the Emirates are preferred over the national airlines in South Asia while flying to the Gulf destinations and through Doha and Dubai elsewhere into Europe and beyond. The presence of their citizens in various Gulf countries for South Asia also means substantial remittances from the Gulf. For smaller countries – Nepal and Bangladesh, this is sizeable; even for India, the remittances from Gulf form an important source for regional economies within. A section in rural Kerala and UP for example in India depends on the Gulf remittances. Strategically, Gulf is important for South Asia, especially for India and Pakistan. Outside the Oil and Gas, during the last few years, New Delhi has made adequate political inroads into the Gulf. So is Pakistan, especially its relations with Saudi Arabia. From Gen Musharraf to Nawaz Sharif – political and military elites in Pakistan enjoy a special relation with the House of Saud. Given the extensive interactions between South Asia and the Gulf – at the State and popular level, it is important that the region insulates itself from the ongoing crisis. It is easier said in paper, than to practice at the real politic level. Especially for Pakistan, given the recent interactions at the State level despite opposition from within. Lately, Pakistan joined the Islamic Military Alliance led by Saudi Arabia, and also allowed its former Chief of Army Staff Gen Raheel Sharif to head it. Despite best efforts by the political leadership to convince rest of Pakistan, a substantial section is worried about the blowback of not remaining neutral. At the State level, three factors will weigh substantially in Pakistan’s reluctance to take a neutral stance: first the close linkages between Saudi Arabia and the political leadership, especially Nawaz Sharif; second Saudis institutional linkages with Pakistan’s military; and finally, the pressure from the Gulf. When there was a debate about Pakistan staying out of the Islamic Military Alliance in the initial stages, there were significant statements from at the highest levels from various Gulf countries almost threatening with consequences. Islamabad had to cave in. At least then, the Alliance did not have a stated opposition to Iran. Now, especially after Trump’s recent visit to Saudi Arabia, it is clear that the Alliance does have Iran as a primary objective, and Saudi Arabia would like to take a lead role in that process. This means trouble for Pak-Iran relations and sectarian equations within. Though it is easy to advice and ask Pakistan to insulate from the Gulf crisis, it is going to be a tough call for Islamabad. 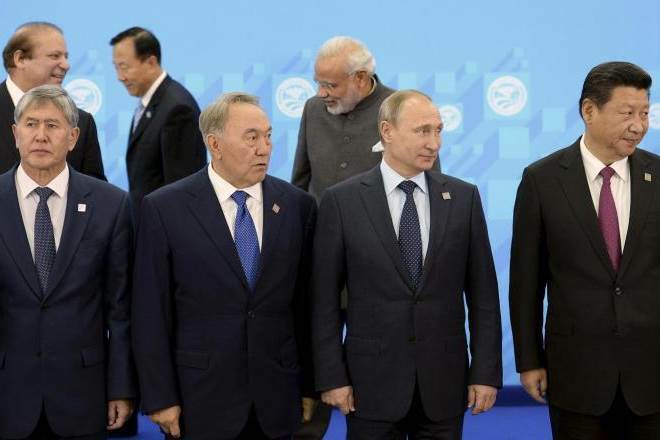 If developments in the Gulf does not bode well, recent summit in Astana and the entry of India and Pakistan into the SCO led by China and Russia with Central Asia being the pivot – opens a new chapter for regional cooperation. While the critics have already highlighted the dangers of India and Pakistan converting the SCO into another SAARC, there is hope. SCO is unlikely to become SAARC, for the stakes here are higher and bigger than in South Asia. More importantly, there are China and Russia taking the lead and making enormous political and economic investments. India and Pakistan, hopefully should leave their baggage behind; else, they would be left behind within the SCO. SCO is certainly an opportunity for India and Pakistan for the following reasons. First, both countries have been talking about entering into Central Asia. SCO provides an institutional arrangement for both Islamabad and New Delhi to engage with Central Asia, than any other regional network. Second, SCO also provides an opportunity to engage with Afghanistan in a substantial way. Though Afghanistan is also a part of the SAARC, unfortunately, internal politics and geographic position of Kabul in a corner did not allow South Asian regional cooperation to play any meaningful role. In SCO, unlike in SAARC, Afghanistan is the centre and a bridge between two regions – South Asia and Central Asia. In fact, there is already a positive movement between Pakistan and Afghanistan, following the meeting between Ghani and Sharif in Astana. Third, SCO is a “happening” network with so much potential for India, Pakistan and Afghanistan. Both TAPI and CASA 1000 has its source in Central Asia, which forms the bulk of SCO. With China already making a huge investment with its One Belt One Road (OBOR) initiative, an innovative project could get the much needed funding for the above two projects relating to gas pipelines and electricity corridor. Both projects – TAPI and CASA 1000 will make Pakistan and Afghanistan as recipient and transit countries, thereby increasing their importance and relevance. If developments in Gulf is a bad news for India and Pakistan, both joining the SCO is an opportunity. The above is originally published in the Daily Times.